Sorry, we cannot do lookups, please don't ask. Contact the appropriate Courthouse, and check the MtGenWeb County sites below for Marriage information posted there. As we receive marriage information we will post it here. 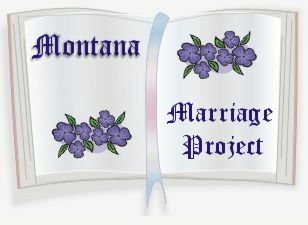 Transcripts will be accepted and files will be placed in the USGenWeb Archives directory of the Montana County, where the marriage records were originally recorded. You are our 16061st visitor -- thanks for stopping by!